J Tyler Whitmer grew up in Champaign, IL. where he began performing at the age of 11. It was Mother’s Day and his mom forced the entire family to audition for Oliver! at the local community theatre. He booked the role of Oliver and fell in love with musical theatre and performing. He studied at Butler University in Indianapolis and graduated with a degree in Arts Administration with a vocal performance emphasis. Studying Classical voice, he fell in love with Oratorio works, but knew he had to follow his heart and pursue Musical Theatre. He booked his first professional show at the Marriott Theatre in Lincolnshire and has been working in and out of Chicago for the past 10 years. 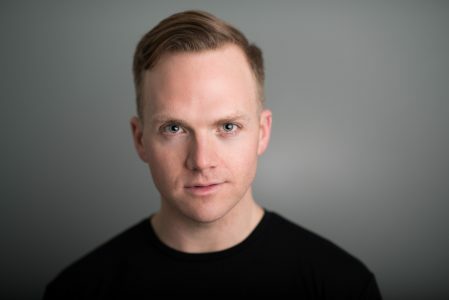 He’s mostly been seen performing at the Marriott Theatre and the Paramount Theatre, but has also appeared at the Lyric Opera and the Mercury Theatre and regionally at the Guthrie Theatre in their production of H.M.S Pinafore which aired on PBS as part of their Arts Festival. Sandi Patty Broadway with the Kansas City Pops, and Chi-Town Sings.